Lime green cab and chassis, dark green rear body, black base and grille. 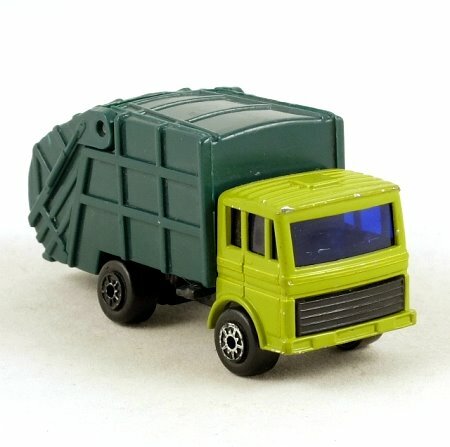 This Matchbox-sized model has an opening rear with ejection mechanism operated by sliders on the side, very similar to Matchbox 36f. The wheels are black with chrome '5 arch' hub design. In excellent condition with light paint chipping around the edge of the cab roof and some loss of chrome from the wheels.